Elaine Willman, Chair of the Citizens Equal Rights Alliance (CERA) and author of "Going to Pieces: The Dismantling of the United States of America" discusses current and proposed laws on Indian Gambling. Q: What is the Indian Gaming Regulatory Act (IGRA)? A: IGRA is a monopoly created for tribal governments as an economic tool. American Indians can open Las Vegas-style casinos on their reservations—or off reservation in some exceptions—to generate revenue for tribal governments. That revenue was then intended to upgrade tribal facilities and upgrade quality of life. Why hasn't gambling upgraded life on reservations? 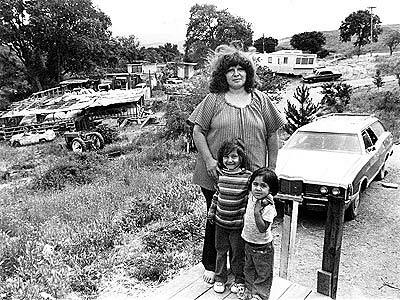 IGRA intended the revenue to upgrade the life of tribal families, but it buys legislators, litigators, lobbyists and lands. That creates a snowball. It is not helping. It is making a few corrupt leaders. The American public needs to understand that tribal governments are monarchial in their set up. The chief may appoint his brother as the judge or his uncle as the sheriff. If you are a member of the ruling family you are going to get all the perks, but if you aren't, you better just keep quiet. With enrollment in a tribe, Native Americans renounce most of their constitutional rights. They do not afford due process or secret-ballot voting. Our tribal leaders are elected by gathering in a room and (voters) raising their hand. There is oppression and intimidation in a system like that. I believe everybody has a right to choose their lifestyle, but a tribal government should have zero authority on non-enrolled U.S. citizens. They are really pushing out to govern nonmembers. There is a real effort to push out and govern a settler (not Native American) economy. When you say IGRA created a monopoly, what do you mean? IGRA is a congressionally created monopoly. Think of Microsoft and Macintosh: If Microsoft was congressionally created and everything it did was tax free, Mac couldn't compete. The (problem with IGRA) is that it creates and allows tribal government to create off-reservation, tax-exempt monopolies. What is the cultural perception about Native-American gambling? If you speak up about it you are a racist. But we are really talking about government decisions not an American-Indian culture issue. The business, economic and legal issues are tearing all sides apart. This is not doing American Indians any good. How is gambling affecting societies around Indian casinos? The money in the surrounding area goes into slot machines rather than the disposable income going into local communities. Gambling preys on our weaker nature. That income that was going into restaurants, food and clothing, now it goes into non-taxed tribal government economy. When you think about it, not too long ago gambling was destination gambling. Families would save money and go gambling. IGRA has franchised gambling across the country. What type of regulation is there for Native-American gambling? A lot of this happens very quietly before the local community knows what hit them. Gaming investors and coordinators work with tribal leaders who go to the Department of the Interior and governor's offices. The whole deal is done quietly before a community knows it is coming. The community has 30 days to comment after it is announced, but most families haven't a clue on how to comment. In the Senate, any legislation that involves Indian tribes goes immediately to the Senate Committee on Indian Affairs. This is an example on how obstructive or limiting that is: a recent homeland security bill was there two solid years and not once was a citizen able to speak in the committee against it. The opportunity for an opposing voice is slim. That committee seldom, if ever, allows an opposing view. What can CitizenLink readers do? First, common sense is that if we just have a sense of personhood and treat another person like you'd like to be treated we'd change things. You treat every person as an equal that's where I'm coming from. There is a problem for the average American citizen though. To oppose any tribal endeavor, it is a problem to separate respect for culture with decision making. When I finally could make that separation, I said, 'These are government decisions that affect me.' When I could stand up, I was immediately called a racist. Those two hurdles, making separation and moving forward in spite of name calling, it is very hard to grow. But the good news is that the movement is growing. You have said that recent legislation could create more problems with specific people groups in Hawaii. What is that about? The biggest battle is S. 147, the Akaka bill (Sen. Daniel Akaka, D-Hawaii). The Hawaiians want their own reservation. If that succeeds like in 1944 (with Native Americans), if they pull out ethnic Hawaiians, it sets the stage for every ethnicity to pull away. We are Balkanizing. That is how countries implode. Look at the money. Who can blame them? The Hawaiians want their casinos; we have to turn this around. Is there other legislation on the table? Pombo (Sen. Richard Pombo, R-Calif.) is proposing two economic Indian zones in every state—but it is not in bill form yet. That would expand gambling in states that it doesn't exist, which is not a good idea. I frankly don't believe IGRA can be reformed unless the reform is dramatic enough to create a level economic playing field. Let your senators know that you oppose S.147, the Native Hawaiian Government Reorganization Act. Then ask your senators and representative to co-sponsor the Common Sense Indian Gambling Reform Act, which has been introduced in the Senate as S. 1260 and in the House as H.R. 2353. You can find contact information in the CitizenLink Action Center. You can receive family news stories by email. Sign up now for this complimentary service. Oh my. Focus on the Family is caught fibbing about Indian gaming. Isn't lying considered a sin among conservative Christians? Wrong. 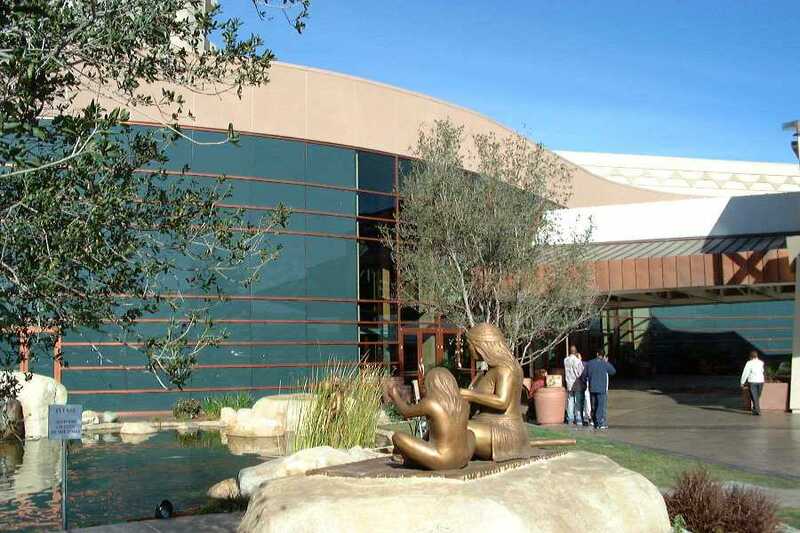 It's an economic tool created for tribal governments. Period. How can Indian gaming constitute a monopoly when non-Indian casinos exist in Las Vegas, Atlantic City, the Gulf Coast, and elsewhere? The idea is patently ridiculous. In fact, every state is free to allow or disallow gaming by state law. IGRA provides only that when states allow gaming, tribes can also conduct gaming after signing a state compact. The fact that gaming revenue pays for campaign contributions and legal fees tells us nothing about whether it also upgrades tribal life. For starters, a tribe wouldn't spend money on campaign contributions and legal fees unless it thought it was getting its money's worth. I.e., unless the payments were ultimately benefiting the tribe's members. More important, gaming has helped tribal members directly, through healthcare, education, and housing, as well as indirectly. I'd love to hear of a tribe that has pursued gaming but hasn't benefited, at least a little. Willman doesn't give any examples of such a tribe because, I suspect, no such tribe exists. Sure it is. 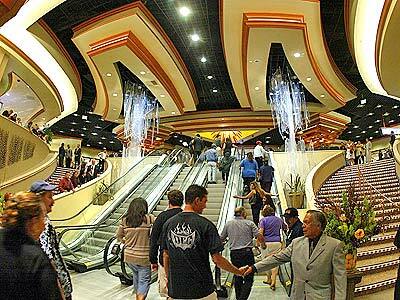 See The Facts About Indian Gaming for details. "A few" isn't very many. And again, this has nothing to do with whether gaming is helping gaming tribes overall. Any big financial windfall is bound to cause a few corrupt leaders. You needn't look any further than the long list of Republican leaders indicted or investigated for criminal or ethical violations to verify that. Most tribes have chairpersons, governors, or presidents these days, not chiefs. These officials are democratically elected by the tribal membership. Many tribes have codes of ethics to prevent blatant nepotism, though of course it happens occasionally. Most tribes don't have "ruling families." Again, corruption happens in a few tribes, but there many tribes where it doesn't happen. This is blatant stereotyping. Totally false. What Willman apparently means is that if an enrolled member lives on a reservation and if the tribe has a constitution, the member may have additional rights and responsibilities vis a vis the tribe. The member's constitutional rights vis a vis the state and federal government remain intact, since the person is a citizen of all three governments. Mainly false. Many tribes haven't set up judicial systems yet, but they have other means of adjudicating cases. Most tribes that hold elections do so through a secret ballot. Both these alleged shortcomings have nothing to do with Indian gaming. Gaming is the solution that provides the revenue for better government, not a problem that inhibits better government. Tribes vote by raising hands?! "Our tribal leaders"? What tribal leaders? Is Willman seriously suggesting that all 560-plus tribes elect officials by raised hands? I'd like to see the room large enough to hold the tens or hundreds of thousands of members of some tribes. Who cares what Willman thinks should happen? 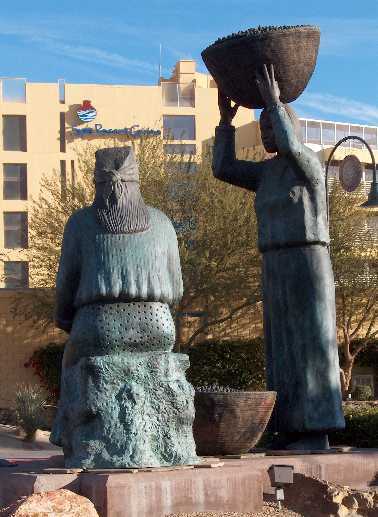 The fact is that the federal government has jurisdiction over people from other countries when they visit this country. Every state government has jurisidiction over people from other states when they visit the state in question. Why should tribal governments be the exception to this rule? >> When you say IGRA created a monopoly, what do you mean? It means Willman doesn't know what the hell she's talking about. The tax-free status of tribal enterprises has nothing to do with the alleged monopolies. It has nothing to do with Indian gaming, period. Since tribal enterprises are government operations, the same as state lotteries, they're exempt from taxation by other governments. This has been the case since long before IGRA passed in 1988. Actually, IGRA and other federal Indian law provides so many hurdles to off-reservation gaming that it essentially hasn't happened, despite a few exceptions. And again, the tribes' tax-exempt status has nothing to do with IGRA. 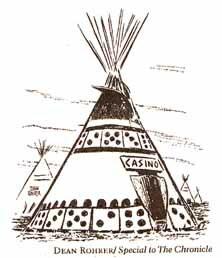 >> What is the cultural perception about Native-American gambling? Wrong. Willman is a racist because she's denouncing an entire race for the misdeeds of a few tribes and individuals. Not because she's spoken up, but because she's acting like a racist when she speaks up. Yes, which is why this "cultural perception" question was especially inane. It goes into slot machines and then into the tribal government's coffers, where the tribe can and does spend it in the local community. If Willman thinks tribes are hoarding the money they earn under their blankets, she's sadly mistaken. Willman clearly isn't much of a thinker. The moral effects of gambling have nothing to do with its economic effects. To put it another way, where the money comes from has nothing to do with where it goes. More important, the concept of a "tribal government economy" is basically meaningless. No tribe has the infrastructure to be self-sufficient. 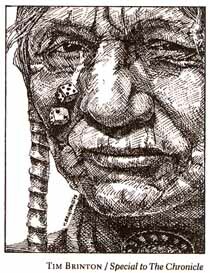 Tribes spend the money they earn on non-Indian goods and services, whereupon the money is taxed. Or they distribute the money to their members, whereupon it's taxed. The only exception is if tribal members live on the rez. Then per capita distributions are taxed by the feds but not by the state. Gaming deals are done quietly?! This is possibly the silliest assertion in an article full of silly assertions. These days, every gaming proposal is thoroughly publicized in tens if not hundreds of news articles and reports. Read PECHANGA.net daily if you don't believe me. I take it back. This is the silliest assertion in an article full of silly assertions. I have no idea what 30-day period Willman is talking about, but signing a state compact and building an Indian casino generally takes years. The public can and does comment on developments throughout the process. I don't think legislation that involves Indian tribes goes before the Senate Committee on Indian Affairs unless it involves tribes in a major way. But whatever. This isn't an Indian gaming issue or problem. A red herring is what it is. Citizens generally don't speak on legislation before a Senate committee. The Senate Committee on Indian Affairs is bipartisan but controlled by Republicans, who oppose Indian legislation more than Democrats do. Indians don't have any voice on this committee now that Sen. Ben Nighthorse Campbell has retired. And why should we care if the committee held up a homeland security bill? How in the world does this impugn the integrity of Indians or Indian gaming? Homeland security isn't an Indian gaming issue and vice versa. Given that the committee includes Republicans and Democrats who are highly polarized on most issues, which "opposing view" does Willman think isn't being heard? Yeah, everyone is equal, but Indians operate monopolies, operate as monarchies, buy legislators, engage in nepotism, and prey on the weak. They're corrupt and greedy just like—well, not like members of Focus on the Family, surely. Like Indians, I guess. Which is the epitome of a racist conclusion. More nonsense. Nothing significant happened to Indians in 1944. In fact, reservations have existed at least since the mid-19th century. And Indians didn't pull themselves out onto reservations, they were forced onto reservations by the feds. The legislation to give Hawaiians limited sovereignty would have no effect on other minorities. Hawaiians are the last remaining group of citizens whose sovereignty we stole. Countries implode when semi-racists like Willman try to maintain white supremacy at the expense of minorities like Indians. See Outside the So-Called Ethnic Box for more on the balkanizing argument.